Willow woke herself up coughing, again. She was exhausted all the time now. Her bones felt like glass, and she ached all over. She&apos;d gotten sick a little over three weeks ago, and no one knew what was wrong with her. But she did. An after affect of her mutation, wreaking havoc on her immune system. At least that&apos;s what she thought it was, but she was really to tired to care. She wasn&apos;t getting any better either, maybe worse if anything. Willow couldn&apos;t laugh, without the laugh turning into a cough. As illness ravaged her body, Willow had lost what strength she had in her arms and chest, unable to sit up on her own or get in and out of her wheelchair without help. It was pathetic, and Willow hated it. After a week in the hospital, the doctors had sent her home, not sure how to help her. She was hooked up to an oxygen tank for when her lungs decided to give up on life. A tube ran from her nose to the machine, and the plastic felt itchy and unnatural. So she&apos;d taken it off, only using it when she absolutely had to have it. Willow was tired, so tired. All she wanted to do was sleep, but the pain in her bones kept her from doing even that. After these long years of life, Willow was ready to go. More than ready to let go of all this pain and get out of this body that was a prison. But as she slowly opened her blue eyes, she saw the one thing that was her reason for living. The bulky, dark haired, sunken eyed man sitting sprawled in an armchair next to her bed. Her husband and her reason for living day in and day out. Bucky. Every single time she needed to get out of bed or sit up to breathe easier, Bucky was there. He brought her food and made sure she took all her meds. Willow loved Bucky, but she hated that he had to take care of her like this. 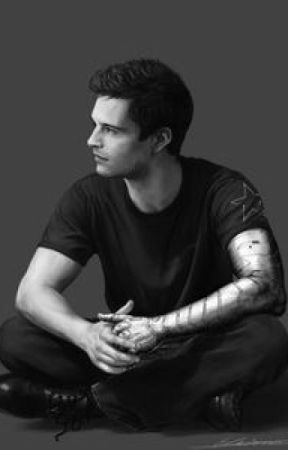 Bucky sat up straighter opening his eyes, "Hey Willow. You okay?" Willow smiled weakly, "I&apos;m fine Buck. Just sitting here, cool as a cucumber-" Willow broke off with a wracking cough. Bucky bolted out of his chair, right next to Willow in a heartbeat. She felt his metal hand in the small of her back, his good hand on her shoulders, helping her sit up. Gently rubbing her back as she coughed roughly. Willow&apos;s throat was sore and raw. She gasped, fighting to get air back into her lungs. Bucky gently pulled the oxygen tube over her head and gently clipped it on. A flow of oxygen helped clear the quickly blurring edges of Willow&apos;s vision. Ashamed and embarrassed in general, disgusted by how pathetic she was; Willow felt tears sting the back of her eyes. Then she was crying, which was horrible, because she was already having trouble breathing. She let her head rest on Bucky&apos;s shoulder, sniffling quietly. Bucky tiled his head to the side, letting it rest on top of her head. "It going to be alright Willow, your gonna be fine." Bucky&apos;s voice was full of hope, which was in stark contrast to how Willow viewed her situation. She was exhausted and tired of this. 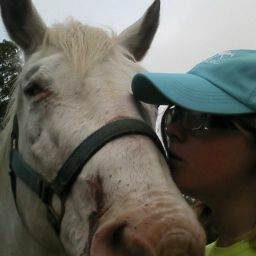 Willow loved her life with Bucky, adored and treasured every second of her time with him. But what she was becoming, someone who had to be cared for and watched. Helpless and useless. It was hard on Bucky, his smiles and kind words couldn&apos;t hide the fact that it was tearing him up inside to see her like this. If Willow was going to die, she&apos;d rather die sooner rather than go on being a burden on Bucky. Most of my one-shots show case happy scenes from Bucky and Willow&apos;s life together. But these next few are going to be quite serious. I am focusing on Willow within a few years of her death (the one-shot of which is attached the last actual Shattered Thoughts book). This particular one-shot took place about a year and a half  before Willow&apos;s death. She spent another month or so bedridden and then recovered. Willow and Bucky spent the next year together, happy and together. Though Willow still had trouble regaining the strength and mobility she had before her illness. But then Willow got really sick again, and she never recovered.